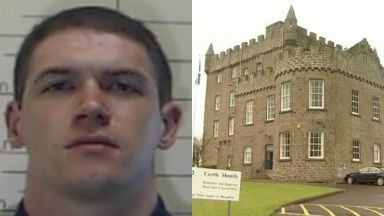 Grant McNamara, 26, was reported missing from HMP Castle Huntly at 2pm on Monday. A prisoner who allegedly absconded from a jail in Dundee has been traced. A police spokesperson confirmed that Mr McNamara, who has connections to the Paisley area, had been arrested. He expected to appear at Perth Sheriff Court on Thursday.